The AP-460 is a Casio 88-key digital piano that is geared toward the serious pianist that is looking for a digital piano that most closely resembles that of an authentic acoustic piano. And in this review, not only will we discuss the piano’s features, specs, and price, but we’ll compare it to other great instruments like the PX-860, AP-450, and AP-250 to see whether or not the Casio AP-460—one of Casio’s newest additions to the Celviano lineup and one that’s already available in Europe–is worth your hard earned money. The newest version of its predecessor–the AP-450–the 460 takes over where its older counterpart left off. The 460 features a fully weighted keybed complete with Tri-Sensor technology–3 sensors instead of the usual 2 to sense key movement. This makes the piano ultra-sensitive to the player’s touch, allowing for an added array of musical expressivity. The keys also feature an ebony and ivory simulated feel and a matte finish, again adding to the feel and look of an acoustic piano. Using Casio’s signature AiR (Acoustic and Intelligence Resonator) sound technology, the AP-460 has four distinct levels of piano sounds, combined with Casio’s Linear Morphing System to create an authentic piano sound that allows for a full range of dynamic expressivity. To add to the superior sound, the 88-keys are equipped with a stereo resonance simulator that approximates the sound of open strings when the damper pedal is pressed, which is wonderful technology from Casio. In addition, the AP-460 also has a Hall Simulator function that simulates the sound of the piano in different concert halls. As you play, you’ll actually feel like you’re performing inside the Berlin Hall Philharmonic or the French Cathedral in Berlin—this was, quite literally, Casio’s goal when they created this feature. So how does the AP-460 compare to its predecessor, the AP-450? Well, the AP-450 is very similar to the AP-460 but it is missing the Hall simulator function, as well as the 10 concert-play songs. The 10 song expansion pack only holds 65 KB/song as opposed to the 90 KB/song the AP-460 holds, too. 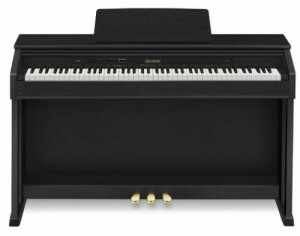 Another comparable piano to the AP-460 is Casio’s AP-250. It, too, has many similarities to the AP-460. The main difference that sticks out to me is the polyphony count, as there is over a 100 key difference between the two pianos (in terms of polyphony). 128-key polyphony, while to be fair is generally quite good, does also mean more dropped notes and less keys able to be sounded at once when compares to the 460, which has 256 notes of polyphony. The AP-250 also does not have the nifty Hall simulator function that allows you to change the resonance to a concert hall setting. Though this is a cool idea that I enjoy, in the grand scheme of things, it is kind of a frivolous feature that really has little effect on the basic sound of the instrument. However, the sound of the AP-460 outshines the sound of the AP-250, in my opinion. The AP-460 has a richer, deeper, more realistic piano sound that trumps the thinner more percussive sound of the AP-250. The lack of a MIDI recorder might be a deal-breaker for some, but that depends on how often you’ll use the record function. Auto-power off is a handy feature the AP-250 has that the AP-460 doesn’t as well, but again, this is not necessarily a hugely important detail. The AP-250 is around $900 while the AP-460 is around $1500, so ultimatelt you would be paying a higher price for better quality sound and more polyphony. 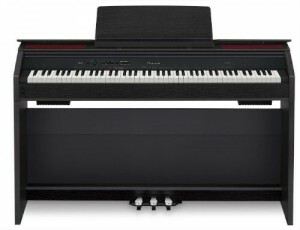 Another Casio piano that we’ll compare to the AP-460 is the Privia PX-850, a digital 88 key piano with an award-winning sound (you can read our review of the PX-850 here). 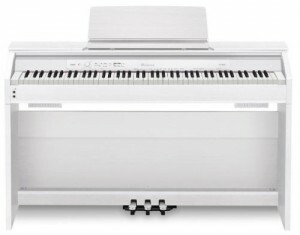 The PX-850 is also an 88-key fully weighted digital piano with the signature Casio AiR sound technology. 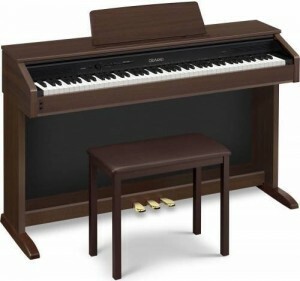 It has both the Tri-sensor scaled hammer action keybed and the lid simulator effect that the AP-460 has, simulating the sound of an open lid on an acoustic piano. Though they both have an excellent piano sound, I lean more toward the sound of the Privia over the AP-460, as it has more ring and resonance to it. So, at around $1000, the Privia might be the better buy than the AP-460, as it has a richer sound and has many of the features the AP-460 has. The final keyboard we’ll compare to the AP-460 is another Privia, the Privia PX-860 (you can read our review of the PX-860 here). Really, the only difference between these two pianos seems to be the inclusion of the piano bench (the PX-860 does not come with a bench). Other than that, these two pianos seem to be identical, except, again, that the Privia wins out over the AP-460 in terms of the sound. 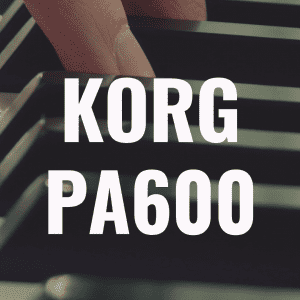 The sound is much like the PX-850, a rich full-bodied brilliant symphony of voices and tones. And while the AP-460 also sounds realistically acoustic, the Privia seems to have a better resonant tone to it. We have compared the Casio AP-460 to four other 88-key digital pianos of the same brand. We’ve found that the similarities between these pianos outweigh the differences, for the most part. When we compared the AP-460 to the AP-450, we found that the predecessor (the AP-450) was very similar to the AP-460 except for the missing hall simulator function and the 10 concert-play songs. However, the sounds between the two were comparable. Comparing the AP-460 to the AP-250 showed that the main differences were the polyphony count – with the AP-250 having a 128-note polyphony count compared to the AP-260’s 256-note polyphony (and the AP-460 winning in the sound department). When we looked at the AP-460 up against the Privia line, we found that the PX-850 differs from the AP-460 in that it does not have a hall simulator function, concert-play songs, or included bench. But the award-winning sound of the Privia line is apparent in the PX-850, winning out over the AP-460, in my opinion. Finally, we compared the AP-460 to another Privia – the PX-860 – and found that the notable difference, to me, was in the sound of the Privia PX-860, as it proved to win out over the AP-460 with a more resonant, vibrant tone. If I were making the purchase, I would either buy the AP-460 or the Privia-860, with the Privia most likely winning out over the AP-460 because of my sound preference for the Privia line. 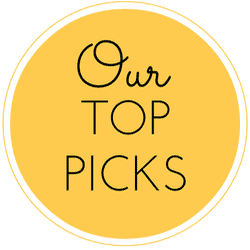 If you enjoyed this article, please like us on Facebook. 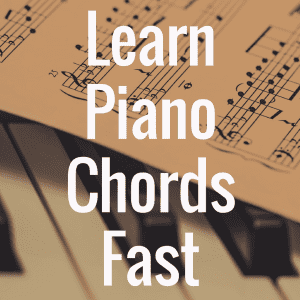 For more helpful reviews of pianos and keyboards, please bookmark our website! And if you want to hear the AP-460 for yourself online, be sure to head over to Casio’s great SoundCloud page. Here’s a direct link to hear the Casio AP-460. 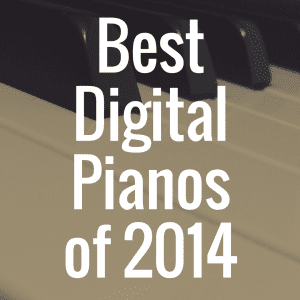 What Casio Digital Piano is the Best Available? 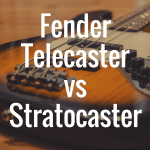 Fender Stratocaster vs Telecaster: Which Guitar is Better? 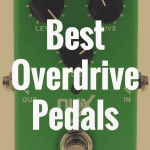 What are the Best Overdrive Pedals for Guitar? 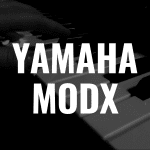 Yamaha MODX review: The Best Lightweight Synthesizer?